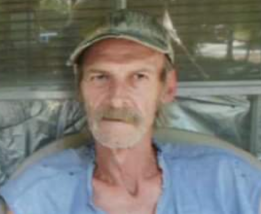 Nicholas A. Velcoff, 65, of Washington Arkansas passed away Friday March 15, 2019. Born September 7, 1953, in Eureka California to Thomas and June (Cudney) Velcoff. Nick was a handyman and loved the outdoors. He is preceded in death by his father; sister Vicky Martinez; brothers, John Velcoff, Gordon and David Shockley. Survived by his mother June Heckler; his children, Errol, Lakisha, Ilene, Dustin and Nicole; sister Lynn Shockley, Shirley Loston; brother Tom (Jackie)Volcoff; several grandchildren and one great-grandchild.